Mukti Bhawan movie review - It's a must watch for everyone! 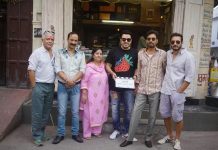 Home Garam News Mukti Bhawan movie review – It’s a must watch for everyone! Mukti Bhawan movie review – It’s a must watch for everyone! The notion that the highest level of being is about freeing yourself from transient human life is a strong belief in Hinduism and this idea of breakout from the worldly pleasures (moksha) is the core concept of Shubhashish Bhutiani’s Mukti Bhawan. Based in the holy Hindu city of Varanasi, the story revolves around a 77 year old man, Dayanand Kumar, who dreams of his death one night and announces to his family at the dinner table that he believes his days are numbered. The father, played by Lalit Behl, insisted that his son takes him to Varanasi so that he can die peacefully there and attain moksha or freedom from the cycle of rebirth. Dayanand Kumar’s declaration comes as a shock to his entire family, his son, Rajiv, daughter-in-law Lata and granddaughter Sunita are perplexed and try to convince him to let go of his stubbornness, but the old man wouldn’t budge. So what do you do when your parents grow old and become unreasonable? 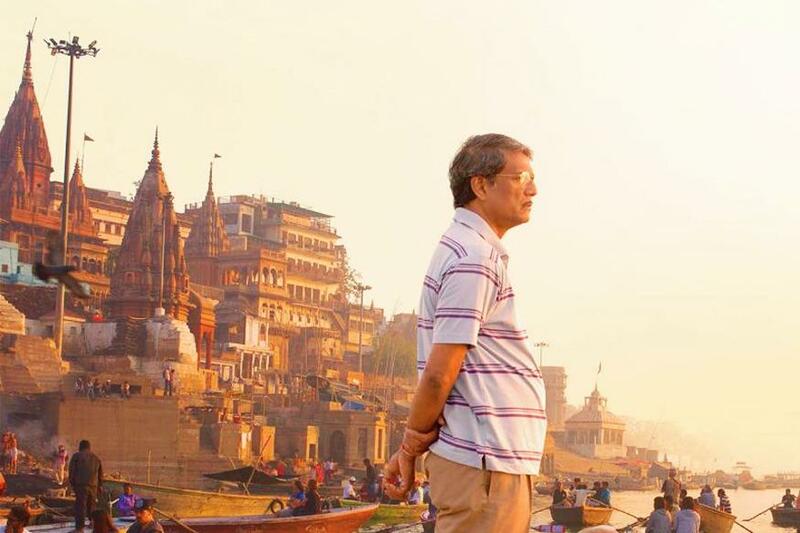 Like any good son, Rajiv (Adil Hussain) gives into his father’s demands and despite his hectic work schedule and responsibilities, he accompanies his father on his trip to Varanasi to fulfill his wish to die. The father and son travel to Varanasi and check into a lodge called Mukti Bhawan. The lodge welcomes dying visitors who are allowed to stay for a period of only 15 days. If a visitor doesn’t attain moksha within this time frame, then they are requested to make way for other dying visitors. The film’s story primarily spans over these 15 days and show how the father and sons’ relationship evolves in this time as Dayanand Kumar prepares himself to breathe his last. These small father – son moments is what makes the film so special. The movie also has a side plot which explores Dayanand Kumar’s relationship with a kind hearted widow, who he meets at Mukti Bhawan. Turns out, she has been living in Mukti Bhawan for the last 18 years! The movie is a celebration of death in the best manner possible. It does for Varanasi what Midnight in Paris does for Paris. Early morning chants of Ram Naam Satya Hai, cremations at the holy ghat and a group of old people enjoying small moments of life while waiting to die, it shows that mokhsa or mukti need not be miserable. The movie ends with embracing death and celebrating departure. In his last days, Dayanand Kumar makes discloses to his son that he wants his funeral to be a celebration and not a parade of sadness, the film portrays just that. Mukti Bhawan is a light film which deals with the heavy subject of death and old age with ease, yet leaves viewers with a positive message of death is inevitable, it’s up to us whether we embrace it with a smile, or with fear and sadness. We recommend audiences of all ages to watch this film at least once. Next articleNach Baliye 8 - Monalisa, Vikrant Rajpoot share a candid kiss during performance!